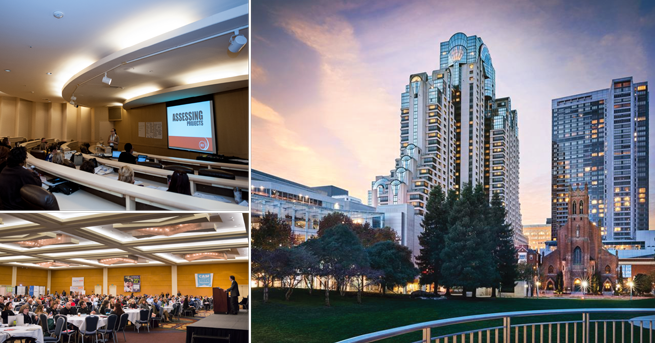 Today is your last chance to save up to $75 per person at this year's California Charter Schools Leadership Update Conference (December 10-11; San Francisco Marriott Marquis). Set aside 15 minutes today to lock in the early rates at this year's big event. Registration rates increase tomorrow (August 1). You’ll save as much as $75 per person on registration. Starting August 1, registration rates will increase by $60-$75 depending upon your organization's CSDC membership status and the number of registrants in your group. You can reserve a room under CSDC's discounted room block. Availability under CSDC's discounted room block is limited and has been known to reach capacity. In addition to reserving their seats at the conference, many early conference registrants also make their room reservations by the early deadline, when availability in the block is highest. Pending availability, the room block will remain open through November 16. You’ll help our event planners. CSDC offers an early registration window so that our event team can create accurate projections for finalizing logistical considerations with venue staff. We're mindful that registering over the summer may distract you from your vacation or personal plans, so in exchange for a few minutes of your time, we offer significant savings on your organization's registrations. It's not too late to append your registration with additional people and lock-in the early group rate. To add additional registrants, please sign into the registration system (using your email and confirmation number) and then click "My Registration" > "My Group" > "Add Another Registrant." Please contact us if you encounter any difficulty or need assistance. Did You Miss the Keynote Announcement? We recently announced the conference keynote speaker—someone who will help you and your colleagues with innovative strategies for recruiting and retaining employees. To take advantage of the early registration prices and benefits, please be sure to register by tonight. Registration rates increase by as much as $75 per person tomorrow.